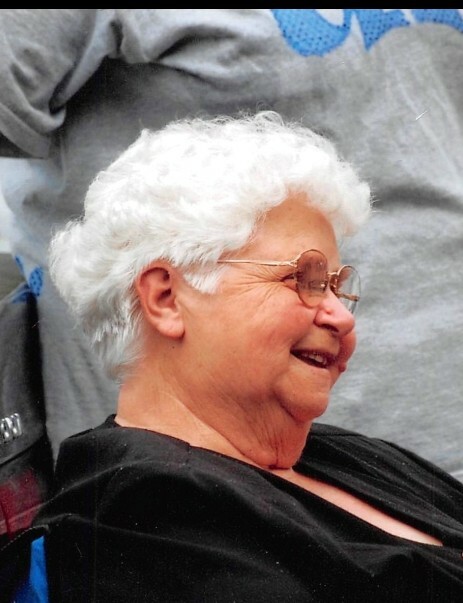 Louise Lynch, age 75 years, of Parkers Lake, Kentucky died Wednesday, December 5, 2018 at her home. She was born February 26, 1943 the daughter of Rev. Ruthel L. and Maggie (Bryant) Lynch. Lou had retired as a school teacher from the McCreary County School System and was a member the Indian Creek United Baptist Church. She enjoyed going to church, going out to eat, and coloring. She is preceded in death by her parents; and brothers, Stanley Lynch and Fletcher Lynch. Survivors include her daughter, Sharon Vanover and husband, James of Parkers Lake; brothers, Wesley Lynch, Gary Lynch (Kim), Eddie Lynch (Carolyn) all of Parkers Lake, and Jerry Lynch (Lela) of Whitley City; sisters, Virginia Barnett (Carl) of Clinton, Tennessee, Rema Perry (Loyd) of Parkers Lake, and Neat Whittle of Gallatin, Tennessee; and grandchildren, Taniesha Tucker (Chris) of Portland, Tennessee and Tyler Vanover (Lia) of Parkers Lake. Funeral services will be held Saturday, December 8, 2018 at 12pm at the Indian Creek United Church with Bro. Mark Perry and Bro. Jimmie Vanover officiating. Burial to follow in the Higginbotham Cemetery. The family will receive friends after 6pm Friday, December 7, 2018 at the McCreary County Funeral Home.